EXTREME CONFLICT OF INTEREST BELOW. 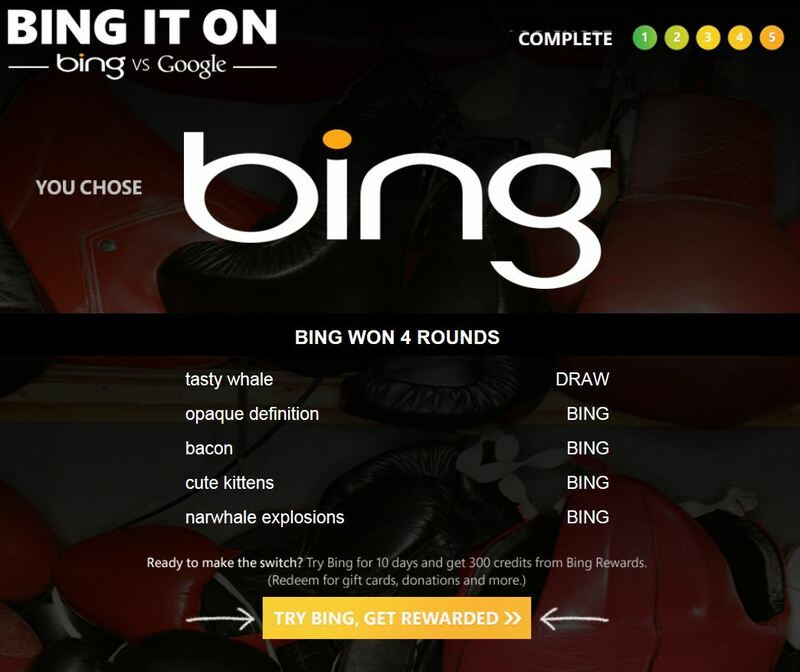 I work for a certain place, but figured showing this wouldn’t be traumatizing to readers. Plus you are being warned that my personal interests could be skewed (they aren’t, I had no idea who I was voting for). 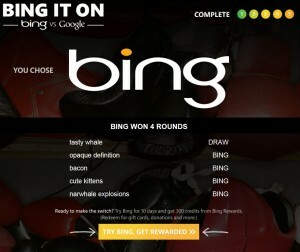 Decided to take the latest version of “Bing it On” campaign to see how the results for TW did. 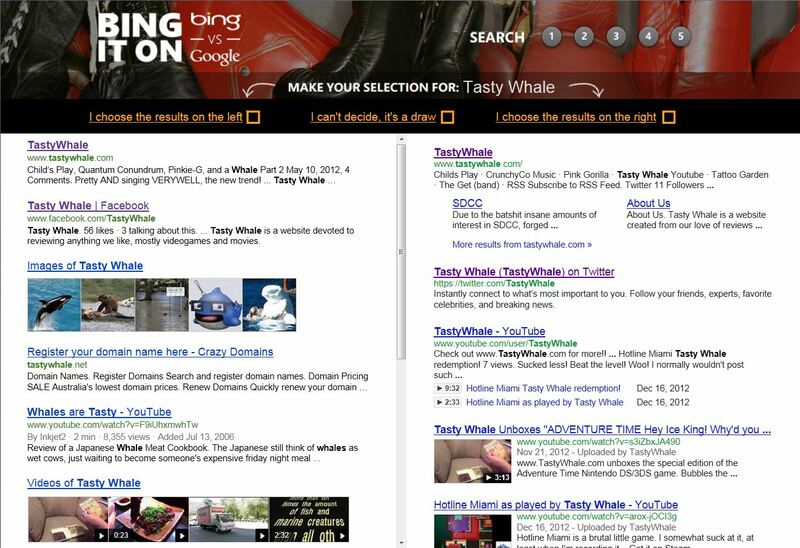 I’ll be honest, I couldn’t decide who promoted “Tasty Whale” better.